Dragons Den: Dragon Quest Fansite > What is Dragon Quest? Dragon Quest (or Dragon Warrior as known in North America in its early years) is one of the first console RPGs. Back in the good ol' '80's Koichi Nakamura and Yuji Horii developed a new concept of RPG, away from the traditional Ultima and Wizardry, breaking away from the complexity of D&D. Koichi Sugiyama provided a more classical feel to the music of the series while Akira Toriyama provided a different view of character and monster artwork compared to other RPG games. Dragon Quest was the first game that appear on the Famicom system (NES in North America) that had the hero saving the kingdom from a vile demon and winning the heart of the princess. Dragon Quest II came shortly thereafter with a party format of 3 characters and battles that contained more than one enemy, improving on the concept of Dragon Quest. 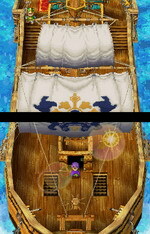 Dragon Quest II also introduced the first alternate mode of transportation, a boat, and the idea of a puppet-master fiend in where the final battle was with Malroth, the monster behind Hargon. Dragon Quest III offered even more improvements over the series, greatly expanded world map, a phoenix for travel and an extensive class system for character development, custom chosen party configurations and the first appearance of the Casino which has stuck with the main series ever since. Dragon Quest III was so hugely popular in Japan that many people skipped work to stand in line for the release. This led to the legislature to enact a law stating that Dragon Quest can no longer be released on a weekday. In '89 Dragon Quest was released under the name Dragon Warrior (due to trademark issues) and was hugely popular by the fact that Nintendo Power gave away a copy of the game with a 1-year subscription. The series never hit as big in North America as it did in Japan and was halted after the release of Dragon Warrior IV. Dragon Quest IV, released a few years earlier in Japan, was a great success with even more improvements to the series. Additions to the series included: more characters, a chapter based system for the progression of the story, a mini-medal collection and reward system, and a wagon to carry your party on their adventures. Alas to the dismay of fans in North America, Dragon Quest V never saw the light of day (until the recent DS release), but in Japan V was released on the SNES with improved graphics and control options. One of the biggest changes to the series with V was the addition of a Bonus Dungeon that could be played after the main storyline had been completed. 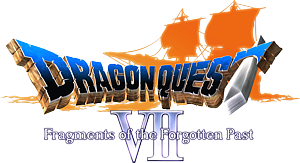 Dragon Quest VI took the series to new "heights" with the concept of parallel worlds with the world of Dreams and Reality. The class system at this point was the most involved that the series had seen to date. The Bonus Dungeon made its return with even more bonus content and even a special ending for those who could defeat the final boss in under a specific number of rounds. 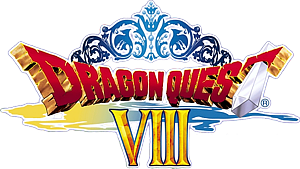 Dragon Quest VII was the first game in the series on the PlayStation console (and the first to be released in North America again, but still under the Dragon Warrior name). This game was one of the longest games to be constructed for any console. The story took you back and forth between the past and present day to "repair" the world after a massive battle between God and the Devil centuries ago. Dragon Quest VIII was released on the PlayStation 2 system in beautiful cell-shaded graphics. This was the first time that Dragon Quest was released in North America under the Dragon Quest name and not Dragon Warrior. With the storyline of a dark Jester and a magic scepter of power and an interesting cast of characters with voice-over scenes, Dragon Quest VIII was a welcome to the series in North America. Dragon Quest has had many remakes over the course of the series, to the Super Famicom (Super Nintendo in North America, in which no games where released here), the Color GameBoy and even more recently the Nintendo DS and Wii download services, hopes are the series is here to stay. 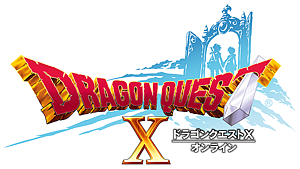 Dragon Quest IX was released in 2010 with help by Nintendo in advertizing. Dragon Quest IX was featured on a few episodes of Nintendo Week that airs weekly on the Nintendo Channel. Dragon Quest IX was the first DQ game to feature local wireless multiplayer. You and 3 friends could explore the world/dungeons/grottos together. Also in DQ IX was the Tag Mode feature. You set your DS to "Canvass for Guests" and close your lid, and when you are out and about if you encounter anyone else canvassing your characters would visit each others games and you can trade Treasure Maps. The customizability of you character is huge as well, from the way you look when you start the game to the equipment you can equip (your appearance changes with armor changes) is huge. There have been spin off games as well. 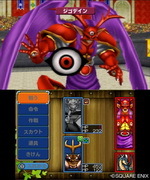 The Dragon Quest Monsters series is a monster capturing and breeding style of game. Rocket Slime is more of an adventure style game like Zelda (plus Tank Battles) where the main hero is a good ol' blue slime named Rocket. The Swords series is a "rail" style game for the Wii where you use your Wiimote to slash enemies on-screen. The Torneko (from Dragon Quest IV) series was a dungeon crawler where the dungeons would change each time you entered them. Dragon Quest Monsters: Terry's Wonderland 3D was released in May of 2012 in Japan and is a 3DS remake of the original Dragon Quest Monsters. No localization has ever been annouced. 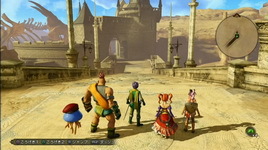 Dragon Quest X will be the first MMORPG style game in the Dragon Quest franchise. You start out as a member of the human race for the local play and transition into one of the other races for on-line play. No word on releases in other regions yet. The Dragon Quest series has now being re-released to the iOS and Android mobile platforms. February 2015 - Dragon Quest Heroes: The World Tree's Woe and The Blight Below was released in the style of Dynasty Warriors. When a dark shockwave sweeps through the city of Arba, the monsters that once lived alongside the people in peace are driven into a frenzied rage. 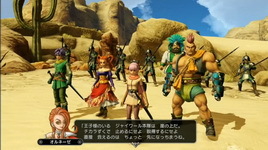 As either the hero Luceus or the heroine Aurora, the player joins forces with a cast of fan favorites from previous Dragon Quest titles, such as Alena, Bianca and Yangus, to bring the rampaging hordes of monsters to their senses and restore order to the kingdom. January 2016 Dragon Quest Builders, a minecraft inspired game with building and crafting with the quest elements of Dragon Quest will be released in October. The story of Dragon Quest Builders follows a "what if" story following the original Dragon Quest. In this story the realm has been destroyed because the Hero (from DQ1) who was supposed to save the world by defeating the evil Dragonlord, actually got tempted into accepting a sham deal with him. The protagonist (that's you) who can be either a boy or girl, is awoken by a Guardian Spirit as the Legendary Builder who is the only person in the world with the knowledge to create objects through combination and imagination. It's now up to you to rebuild the world and restore it to its former glory! 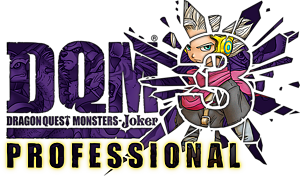 Dragon Quest Monsters Joker 3 was released in Japan in March of 2016, with no localization plans. September 2016 - Dragon Quest VII was re-released for the Nintendo 3DS system. The story goes that the hero finds a fragment of a map that shows that their world in the past was composed of many more lands that just their island of Estard. The hero with the help of his friends find a way to travel to the past to restore the one long forgotten lands. January 2017 - Dragon Quest VIII was also released for the Nintendo 3DS with some added new enhancements, like Cameron's Codex where you snap photos of monsters and items in-game for bonus items. The story starts out with the court Jester of Trodain stealing a powerful scepter and casting a spell on the castle, covering the castle with vines and turning the king into a troll and the princess in to a horse, leaving one guard (you the hero) unharmed. So you team up with the King and Princess to track down Dhoulmagus the Jester and set things right. April 2017 - Dragon Quest Heroes II was released, sequel to Dragon Quest Heroes, but set in the land of Seven Kingdoms this time. Deception pits the normally peaceful seven kingdoms against each other fullfilling a prophecy that has been passed down for ages with the help of other Dragon Quest characters such as Ruff, Maribel, Terry and Carver. Dragon Quest XI for PS4/Steam releaed September 2018 with Switch version coming later. At the age of 16 the hero (you) finds out that he is a reincarnation of a past hero, upon visiting the nearby castle you are deemed a Luminary and thrown in jail. You escape and your adventure begins as you try to find out about the Dark One. Dragon Quest Builders 2 was annouced to come out in Japan in 2018, supposedly is based in the world of Dragon Quest II.